Mobility is growing at light speed. 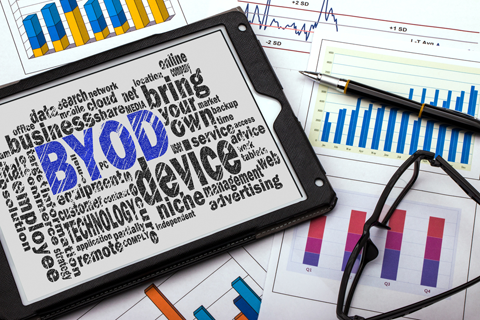 Through cloud adoption and the “Bring Your Own Device” (BYOD) trend, there is growing pressure, inside and outside organizations across all industries, to pursue the path of mobility. To achieve mobility in a way that streamlines access to IT resources most efficiently and cost-effectively, organizations should consider adapting their IT infrastructures for secure, clientless & device-agnostic access. This would give users the flexibility and freedom to work from anywhere on any device. Moreover, it would provide the simplest means to access Windows & Web-based applications, physical & virtual desktops, as well as legacy data, hosted on a wide range of platforms. As more products become ‘Browser enabled,’ the demand within large corporations to shift more technologies, including terminal emulation, into the browser enabled world of software is growing. Now, with the advent of HTML5 and other technologies, it is possible to provide clientless remote desktop access to ‘instantly webified’ legacy applications, desktops, data hosted on Terminal Servers, VDI, and Cloud environments. For software developers, HTML5 turns a key challenge into a great opportunity by making it possible to easily adapt terminal emulation software for mobile devices. Traditionally this has only been designed for fat clients (desktops and laptops) and thin clients. HTML5-based access technology extends the power of terminal emulation to virtually any user device running a modern browser. Without having to install anything on the device, users are offered greater ease and the ultimate in ubiquitous access. With all its benefits it becomes obvious that a clientless, HTML5 Remote Access solution is the future of remote access. It fulfills a vision of mobile computing that in effect rids us of dependence on the traditional computer and the desk. It also simplifying the IT infrastructure side of things. Data and applications that previously resided on PCs are currently being shifted to servers and the Cloud, accessible anywhere, any time, from any device. Ericom is a leading ISV that takes advantage of HTML5, Web and other technologies. Ericom provides access to Windows applications and desktops, as well as hosted terminal emulation software for System z mainframes (TN3270 Emulation), IBM midranges (TN5250) and other legacy systems. It works on any HTML5-supported browser on any device, including PC, Mac, Linux, as well as iPad, iPhone, Android, and Blackberry and locked down devices without having to download, install or configure anything. Got Windows applications and terminal emulation needs? Check out Ericom. Barbara Claman works at Ericom Software, a leading global provider of Access, Virtualization and RDP Acceleration solutions.